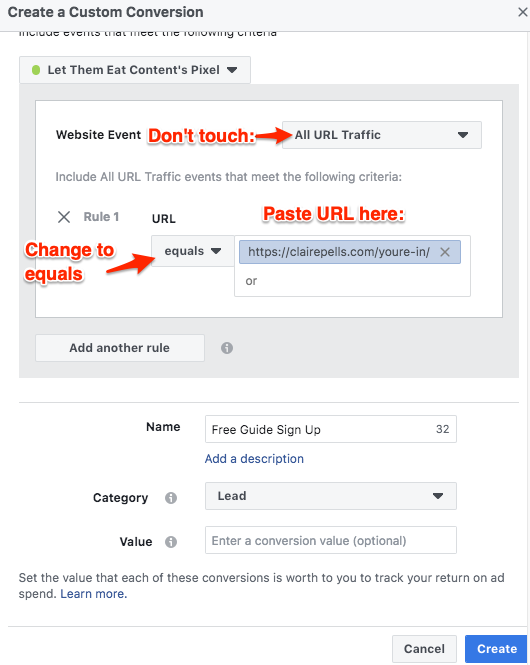 Track conversions with your Facebook ads. First let’s think about what the “conversions” in your business are. For most online businesses, conversions are usually when a prospect converts to a customer. In other words, when someone buys something from you. I sign up for your newsletter. Instead of just browsing your online store, I actually add something to my cart. I opt in to your free or reduced-price trial membership. After reading your blog post, I click over to check out the sales page of your product or service. You get to set the conversions in your business, and usually you add them as “goals” in your Google Analytics account. 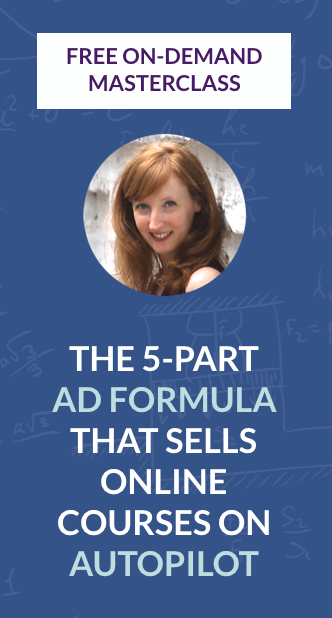 For your Facebook ads, however, it’s REALLY easy to see not only which ads are netting you the most conversions, but how much each one of those conversions is costing you. So it’s time to install this pixel and then set up conversion tracking – you with me? Click on the little hamburger menu icon at the top left of your screen, and then scroll over All Tools. A larger menu will pop out to the right. Click on Pixels under Measure & Report. Scroll down to step 2; you’ll see a box with several lines of code in it; go ahead and copy/paste the code into a doc on your computer so you can access it later. Now you need to place it in the backend of your website. Below are instructions for WordPress sites. If your site is on Squarespace, click here for instructions. Important: if you use Leadpages, you must add this code to all of your Leadpages pages, even if you use the WordPress plugin. This code does not transfer from your site to any “external” pages like Leadpages, ClickFunnels, or any other page creators. Click here for instructions for Leadpages pages. Go into the Plugins section of your WordPress site and download and install a plugin called Insert Headers and Footers. Then under Settings, click on Insert Headers and Footers. Copy that code again, either from the Ads Manager or from the doc that you saved on your computer, and paste it into the Scripts in Headers box. That’s it! Your Facebook pixel is installed. You do NOT need to install any event codes, unless you have hundreds of products for sale on your site. 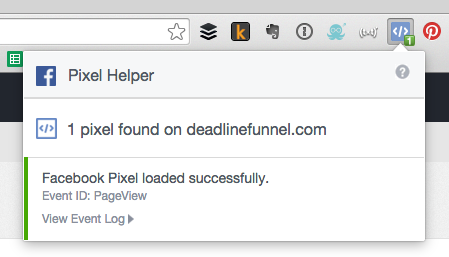 To test it, install the free Chrome Pixel Helper extension and then visit your site. 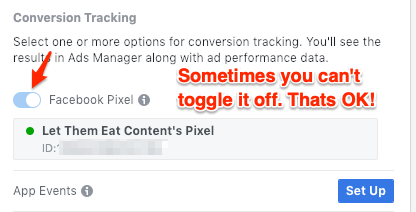 Now that the pixel is in place, you want to make sure it can report info about people taking actions on your Facebook ads. The new way (as of late 2015) is with custom conversions). 3. Insert the url of the page on your site that “marks the conversion.” Usually that means a “thank you” page that people see after signing up for your free content or buying your product. 5. Click the Create button, and relax because you are DONE! 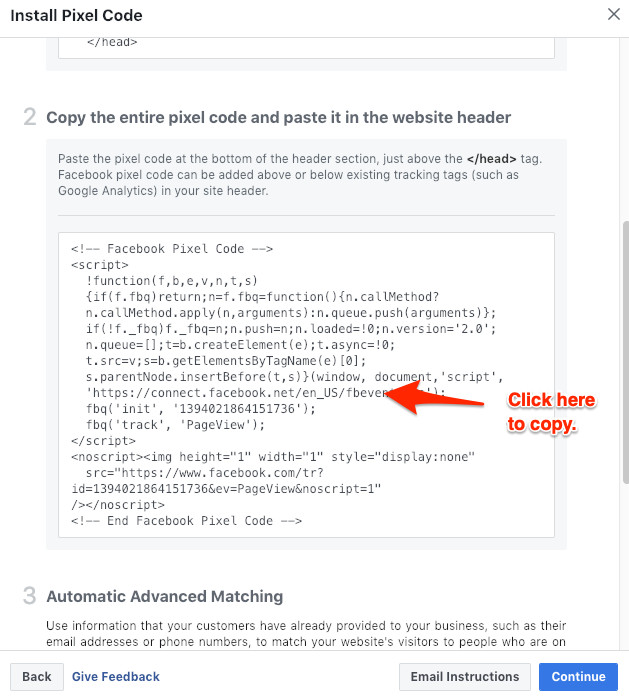 This is one thing I love about this way to track conversions for your Facebook ads: it’s automatic! You don’t need to “connect” them like you did in the past. 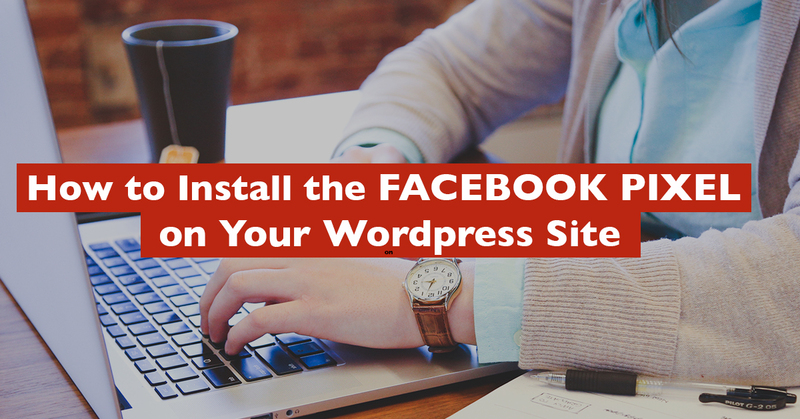 Install it on your WordPress site one time only. That forced me to start using Standard Events, which is another way to track your conversions. Many people still aren’t using standard events, but I highly recommend you take the extra time to learn about them and get them set up. Wow, you must love detailed blog posts if you’re all the way down here. Does all that make sense? Let me know what your Facebook Pixel or Custom Conversions questions are in the comments below! Quick question before you go: are you 100% clear on what ad strategy to use to actually make more sales in your business? 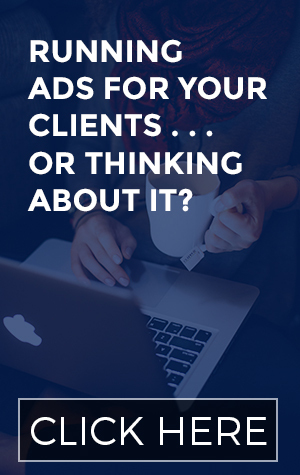 Yes, running ads can help you grow your audience and make more sales, but only if you go into it with a clear understanding of why you’re promoting each thing, and where it fits in the bigger marketing picture.